The name Spartanburg is believed to be derived from the Spartan Regiment, which was formed in what was then known as the Upper Saluda District in September of 1775. The regiment served with distinction throughout the American Revolution. This explanation appears both in the WPA History of Spartanburg County and in J.B.O. Landrums History of Spartanburg County. Mr. Landrum goes on to state that the people of this area "Were indeed a Spartan people, and were willing to sacrifice their lives, if necessary, to meet all the difficulties which surrounded them. "They had already, in previous wars with the Indians, undergone trials and sacrifices which justly entitled them to this honored name. Like the ancient Spartans of Greece, they were inured to hardship and sacrifices, and cherished the heroic virtues of courage, fortitude, patriotism, and public spirit." Full of historical and cultural heritage, Spartanburg was named for the Revolutionary War Patriot Militia, the Spartan Regiment, who teamed with Brigadier General Daniel Morgan's troops to defeat the British in the battle of Cowpens. 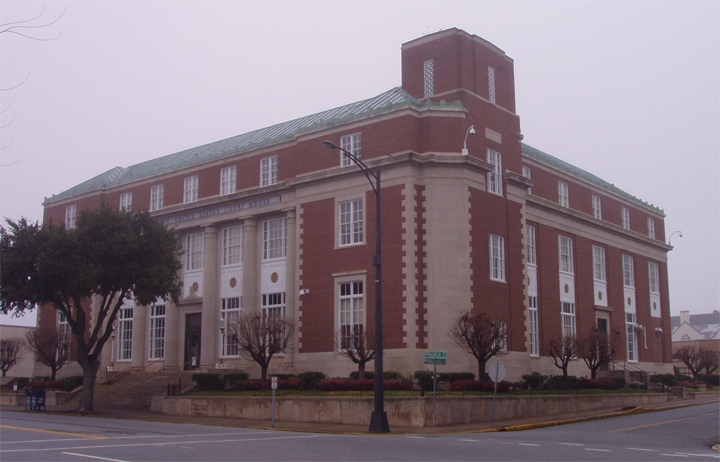 Spartanburg was the county seat for the first-named county of Spartan County, then later renamed to Spartanburg District (county). In the 1800s, farmers from Spartanburg and neighboring towns would gather on Morgan Square to sell their goods and conduct daily business. The location and the size of Spartanburg in the 1800s quickly made it the hub around which life and activities in the Piedmont revolved. The early 1900s brought about more change for Spartanburg as World War I approached. Troops in the armory at Ravadson Hall drilled on Morgan Square under the guidance of Major Philip R. Ward. By the 1940s, Morgan Square had made way for automobiles with new roads, sidewalks, and parking spaces as the auto industry boomed. The Magnolia Street Train Depot was blocks away from the square. Travelers could dine in area restaurants and sleep in quality hotels in a convienant setting. Even though downtown Spartanburg is typically under construction in spots, great care has been taken in preserving the citys history. Residents and visitors are invited to enjoy the Spartanburg County Museums Downtown Walking Tour. Winding through the downtown district, visitors can view and learn about historic buildings and sites. The Mighty Moo Festival is not the only reason to visit Cowpens. Located north of Spartanburg, the Cowpens National Battlefield draws history buffs and school groups from all over the nation to view the sites of one of the key battles in the American Revolutionary War. The battlefield, which saw American forces turn the tide of the war, can be toured by foot, bike, or car. The park is complete with a visitors center, museum and a film about the battle. Each January the battle of Cowpens is re-enacted with participants wearing replica Revolutionary War garb. Another historic site well worth seeing is the Walnut Grove Plantation, located in nearby Roebuck. Built in 1763 on land granted by King George III to Charles Moore when the area was considered the western frontier of the colonies, Walnut Grove portrays life as it truly was lived 240 years ago. On the first weekend of each October, Festifall is held at Walnut Grove. Festifall is a family-oriented two-day event centered on the re-enactment of life on a pre-Revolutionary upstate colonial plantation. Among the attractions are demonstrations of colonial life, storytelling, the re-enactment of Bloody Bill Cunningham's raid on Walnut Grove Plantation, militia drills, musket firing, eighteenth-century dancing, and colonial-era music. Craftsmen and women dressed in colonial period costumes demonstrate a variety of eighteenth century skills, including basketry, cooking, apothecary skills, blacksmithing, woodworking, quilting, and pewtersmithing. For children, there is candle dipping, writing with quill pens, and eighteenth century games and toys. About the same time the Walnut Grove Plantation was taking root, what is now the longest-standing congregation in the county was being established. The Nazareth Presbyterian Church in Moore was organized in 1765. Evidence of a Revolutionary War battle fought nearby can be viewed. Its held that settlers took refuge in the church. If you want to go back to 1795 and find a home owned and operated by a true jack-of-all-trades, then visit the Price House in Woodruff. Thomas Price built this house on his 2,000-acre plantation around 1795. Besides farming he also ran the post office and a general store. He had a license to operate a house of entertainment to feed and lodge weary travelers who came by on stage coach. The brick house with its steep gambrel roof and inside-end chimneys is most unusual for this section of the country. The bricks for the house were made on the premises and are laid in Flemish bond - a masonry style also unusual for this section of the country. During the late nineteenth and early twentieth centuries, the Glenn Springs Historic District in Spartanburg was known as the "unofficial summer capital of South Carolina" because of the large number of people visiting the area, which was famous for its healing waters. A walking tour of the district reveals the architecture and the history of the area. Click Here to learn about the "Street Railways" that operated in Spartanburg from 1891 to 1936. Moving ahead to the early 1900s, the Cowpens Depot and Museum is a showplace for relics belonging to the crew of the USS Cowpens, a famous World War II aircraft carrier. Housed in a 100-year-old freight depot, the museum is listed on the National Register of Historic Places. 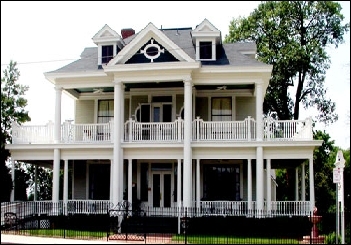 Another place to get to know the origins of Spartanburg is to tour the Hampton Heights Historic District. First settled at the turn of the century by prominent Spartanburg citizens, this district's earliest residences are on West Hampton Avenue side streets and include numerous homes featuring turn-of-the-century architecture. One of Spartanburgs true natural gems can be found at Hatcher Garden and Woodland Preserve. Covering ten acres and containing more than 10,000 plants, Hatcher Garden is the perfect place to enjoy a few quiet hours in the company of native birds and wildlife, or stroll a paved trail. Devoted to providing a place where the public can come for inspiration, enjoyment, and education through the study of nature, the Preserve is in phase three of a five-stage renovation project, which includes plans for a new visitors center. One of the largest corporate green spaces in the United States provides people in Spartanburg a different type of opportunity to enjoy the outdoors. The Roger Milliken Research and Customer Center offers visitors over 600 acres of trees, ponds, fountains, and walking and fitness trails, along with one of the largest informal educational arboretums in the state. The arboretum features hundreds of tree and plant specimens, making it a favorite destination for school field trips. Plenty of open space makes the Center a great spot for a picnic, kite flying, or reading and relaxing under a tall oak tree. Milliken also offers its grounds for numerous community and college cross-country races in the area. It was the site of the NCAA National Cross-Country Championship Race in 1995 and the site for the 1999 National Junior Olympic Cross-Country Championship. For an up-close look at wildlife (both native and non-native), Hollywild Animal Park in Inman is home to 500 exotic animals from around the world, and has one of the largest collections of rare and exotic animals in the Southeast. The entire family will enjoy a guided tour of Hollywilds 70-acre Outback Area filled with free-roaming animals of all types. For the little ones, a petting zoo rounds out a day spent with tigers, lions and bears. Who knows? You might even spend some time with one of Hollywilds stars. Animals that reside at Hollywild have appeared in over sixty major motion pictures. When done taking a tour of some of natures great works, visitors can step into a distinctly human domain of engineering and craftsmanship: The BMW Zentrum Museum and Visitors Center. Located off I-85 in Spartanburg County, this unique facility traces the history of BMWs legendary past from the original models built in the 1930s to the ultra-modern Z4 Roadster, built at the plant in Spartanburg County. The museum also has a rare collection of BMW Art Cars, featuring paint jobs by top artists of the past 75 years ranging from Andy Warhol to Reif Lichtenstien. To see how a BMW is built, visitors are taken on a virtual tour of the construction process. For those wanting to go beyond virtual reality, group tours of the plant floor are available by appointment only. Automobiles of a different type will soon be on display at the new Racing Museum of the South. To be located in a former 113-year-old textile mill in Spartanburg, the proposed museum will collect and preserve artifacts, as well as give a history of South Carolinians who have contributed to motor racing. The story of motor racing in the Piedmont and Spartanburg area itself will be a major focus of what has become an integral part of life in the upstate. The twenty million dollar museum will feature interactive displays that highlight racing technology and video programming of great races of the past. Spartanburg is home to several of the sports legendary figures including David Pearson, Bud Moore, and Cotton Owens. Spartanburg is also home to two airports. In addition to GSP International Airport, the Spartanburg Downtown Memorial Airport opened in September 1927, holding a place in history as the first airport in South Carolina. One month after opening, Charles Lindbergh stopped there on his tour of all 48 states. In 1928, it became the states first airport with direct mail service. Located in the southwest section of the city off of Ammons Road, the airport operates seven days a week and serves over 100 local aircraft, as well as corporate jets representing many of Spartanburg's largest companies. As Spartanburg Court House, the town was granted a U.S. Post Office on January 31, 1804, and its first Postmaster was Mr. Abner Benson. 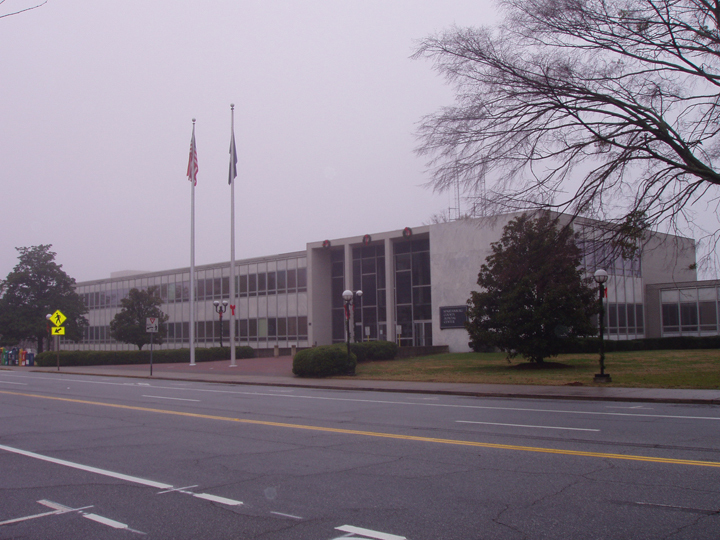 In 1887, the Post Office Department officially changed its name simply to Spartanburg. Its Post Office has been in continuous operation ever since inception in 1804. Click Here to view / download a 2013 map of the Greenville & Spartanburg area. Adobe PDF file - 35 pages. Very large.